The story of the Oliva Cigar Company goes all the way back to 1886, when Melanio Oliva first began growing tobacco in Cuba. The production of the cigars was halted temporarily when he left to fight in the Cuban War of Independence. His operations resumed soon after his return, then eventually changing hands to his son in the 1920’s. Times were not easy for the Oliva family, as communists took over the country and forced his family to search for a better place to grow their unique blend of tobacco. After time in Mexico, Panama, Honduras, and the Philippines, his family found the fertile ground of Nicaragua and have since become the second largest growers of the Cuban-seed tobacco. The four Oliva siblings still run the operations, now with the help of their great grandchildren. One only needs to look at the uniquely curved head and precisely pressed corners to see why the Oliva Cigar brand stands as a leader in this highly competitive market. Listed as the number one cigar on the Top 25 Cigar Awards for 2014 from Cigar Aficionado, the Oliva Serie V Melanio Figurado is simply one of the best made cigars in the world. The design and taste of this cigar is a result of the culmination of over a century of hard work and dedication to the craft of creating premium cigars. It was only a few decades ago, back in 1995, when the Oliva family finally left the Plasencia factory and set out to build one all their own under the shortened name Oliva. The biggest breakthrough for the Oliva Cigar brand was back in 2006 when they released the Oliva Serie V. The reason many in the cigar world were taken aback by the flavor of this particular cigar was the family utilized the talents of a very small group of rollers to skillfully craft this blend. It was an instant sensation and skyrocketed Oliva Cigars name overnight. In the year 2012, the Oliva Cigars family decided it was time to pay tribute to the man who was behind the start of the name over 100 years ago. The Melanio cigar was developed as a tribute to the first tobacco grower in this family, and stands apart from other cigars in the brand by the Sumatra seed wrapping that is specifically grown in Ecuador. 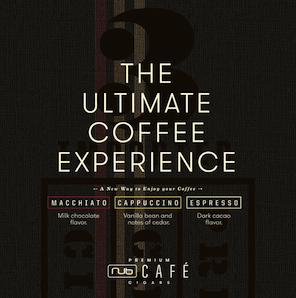 The distinguishing taste of Oliva Cigars comes with that familiar big, rich, caramel, and coffee intonations. 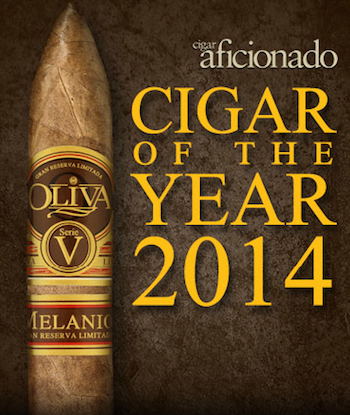 According to Cigar Aficionado, Oliva Cigars have been on this top 25 list an amazing nine years in a row. That is an accomplishment in and of itself, something that has propelled the brand to super stardom. Now producing well over 6 million cigars each year, cigar enthusiasts have propelled the Oliva brand to the 2nd largest grower of tobacco in all of Nicaragua. In recent years, the Oliva Cigar family partnered with Padilla to create a distinct project called Studio Tobac. The Oliva Cigar company was contracted by Padilla to develop the Studio Tobac Special Edition, another popular premium blend cigar. 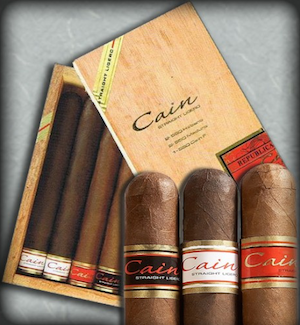 The Cain Straight Ligero features a thick, dark Nicaraguan wrapper with three Nicaraguan Ligero fillers. This utilizes leaves from the top of the tobacco plants that are exposed to direct sunlight resulting in a darker, thicker, and smaller leaf with concentrated flavor. The three growing regions of Esteli, Condega, and Jalapa also impact the flavor and strength of the Ligero. Studio Tobac also innovated the Nub, a line of thick and squat cigars. Don’t let the short size fool you. The smoking time of more conventionally sized cigars is maintained by using a densely packed long filler. The most popular of the cigars in the brand are all produced in a facility in Nicaragua that is capable of producing well over 50,000 cigars in a single day. Due to the popularity of the top blends in this brand and the appearance on top cigar lists year after year, increase in production has not satisfied the growing desire to obtain these cigars. Expansion of the brand has reached 18 countries and continues to increase every year. With the Oliva Cigars now available across Canada, the brand continues to find a new audience of cigar lovers each year. The long storied history behind the Oliva Cigars name has seen its share of turmoil, but throughout all those trials and tribulations, the company at the core still has the blood of the founder flowing proudly as they continue to develop high quality and premium cigars that the world can not seem to get enough of.